I get lots of e-mails with prefaces like, "My budget was over $2,000 but..." They always make me a little sad. I want to look the person in the eye and say, "You don't have to preface your idea/insight/question by explaining your budget! I know that different couples work to find budgets that work for them. And besides, the budget is just one piece of planning a meaningful and memorable wedding without losing your savings or sanity." 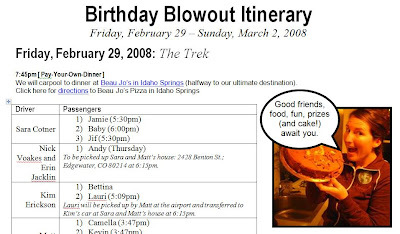 When Matt and I started this blog back in December of 2007, we named it 2000 Dollar Wedding because we wanted to use our budget to prevent us from kowtowing to the wedding machine. If we only had $2,000 to spend, there was no way we could become convinced that we absolutely needed chair covers. Wedding magazines featuring $2,000 dresses? Useless. It meant that we had to ignore all the consumer static that surrounds weddings and instead focus on what really mattered to us. It meant that we had to get creative and tap into our friends and family in a way that strengthened community and made the whole thing a lot more fun. Our budget became our personal challenge. 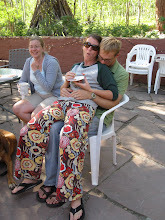 Then, when we decided to move from Denver to Houston right after our wedding, our budget became a necessity. Although we could have spent more of our savings on our wedding, we wanted to funnel those funds into a down payment for our first house. We could have tapped into the generous support of Matt's family, but factoring in the opinions and preferences of family members is hard enough without actually giving away decision-making power by accepting financial contributions from others. In the end, we did manage to stick to our budget. But our wedding experience (and the wedding experiences of others who continue to inspire this blog) is bigger than just our budget. It's about community, commitment, connection, and fun. It's about tying the knot in a meaningful and memorable way without losing your savings or sanity. It's about starting with the big picture of what you want your wedding experience to be and planning backwards from that vision (instead of dwelling in too many details and completely stressing yourself out). It's about resisting all the pressures that tell us what a wedding HAS TO BE and instead creating a wedding that is what we want it to be. It's about planning a wedding that strengthens your relationship and marriage instead of overshadows it. So, long story short, I'm thinking about renaming this blog to capture all of that and I need your help. If you have any ideas for new titles, please e-mail me. You are seriously smart and creative people, and I would very much appreciate your input! As I think about what I most need in my life (community, connection, joy, analytical and passionate conversation, parties under the stars, pure food from the earth, meaningful work, friendship, love, family, picnics, blue skies and trees, creating, writing, and neighborhood interdependence), I am reminded that our weddings are an opportunity to create what we most need to find. What do you most need to find? A $2,000 budget does not leave much room to hire a band or even a DJ. We've been annoyed with DJs at wedding receptions in the past*. Matt loves music and was excited about the opportunity to pick all the songs. We thought that eliminating as many wedding vendors as possible would help eliminate a lot of the stress of wedding planning. We would have to do less searching, less interviewing, less haggling, less following-up, less worrying about their reliability. Figure out a way to project the sound professionally. I love dancing and wanted our wedding reception to evolve into a thumping, jumping, full-blown p-a-r-t-y. However, I worried that with anything less than professional sound equipment we would have trouble corralling enough energy and interest for true, get-down dancing. In the process of researching options for renting such equipment, we realized that we had a friend in a band. Matt contacted him, and Nick agreed to let us borrow his stuff for the night. He also volunteered to be in charge of transporting it, setting it up, and breaking it down. There are lots of rental companies out there, plus lots of amateur musicians have really nice equipment. Also, a post on Craigslist might turn up some interesting leads. Create separate play lists. Once the speaker situation was settled, Matt got to work with creating the play lists. He created a pre-ceremony play list (since a quartet was also not in the budget), a post-ceremony play list, a dinner play list, and a dance party play list. I think coming up with play lists is one of the most difficult parts, but there's no right or wrong answer to the question of what to play. We started with the music we liked and thought about which specific songs would create the kind of ambiance we were going for. We used music we already had in our iTunes library, as well as the website Hypem or Elbows to download songs we didn't have already. There are lots of free resources out there that include lists of suggested songs. Match the arc of the evening to the arc of the music. One of the reasons why DJs are a potentially appealing option is because they can be skilled at matching music to the mood and using the music to further shape the mood. With the absence of such an omnipotent observer, you have to take matters into your own hands by anticipating the arc of the evening and creating songs that align with that arc. For example, we started our dinner mix with relaxing yet upbeat music. By the time we wanted the dancing to start, we switched it up. We decided to start with a few classic, popular dance tunes to get people out on the floor early. We also folded slow songs into the mix to give people time to rest. The good news is that you don't have to stress out too much about this process because you can always advance to different songs throughout the evening, if needed, to match the energy of the crowd. 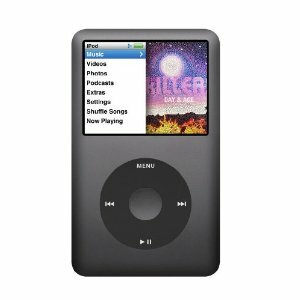 Plan way more music than you think you need and bring a back-up iPod. It's better to be safe than sorry. We created really long play lists and then brought a back-up iPod in case something went wrong. We made sure to write these items on our centralized "To Bring" list, so we didn't forget them in the stress of packing. Clearly establish roles and responsibilities in advance. Who is responsible for bringing the speakers? What time will they bring them? Where exactly will they need to be set up? How many outlets are required? Will any additional cords need to be provided? Who is bringing the iPod? And the back-up? What time should the music start? Who presses the play button? Answering these questions (and any others) will ensure smooth execution. When you've planned everything, let go and completely immerse yourself in the moment. You don't want your wedding to fly by, and you don't want to be a stress ball. Once you've planned everything that is in your control, surrender to the universe and truly experience the sheer loveliness of bringing together your nearest and dearest to witness and celebrate your commitment. Even if there is a major snafu, trust that someone will figure out a solution and it will all work out in the end. It might even interject some good comic relief and provide everyone with something to remember. Case in point: the power went out at my friends' wedding, and some of her former students banded together and started singing. It was very moving and memorable. Overall, we were really pleased with our DIY iPod wedding reception. The dance party was a blast. The money we saved (and diverted toward a down payment two days after our wedding weekend) was definitely worth it. Plus, we had a great experience working with our friend, Nick, and he seemed to feel even more connected to the experience because he played an integral role in it. Get really, really good dance songs. We had some good dance songs, but most of the music we listen to is not dance-inspiring. I wish we would have gathered more really classic songs (I'm thinking back to my middle school days in the rollerskating rinks). If we had known about programs that let you download other people's music libraries, that would have been a really good option for getting good music for free. Get suggestions from friends. I love the trend of asking friends and family to request songs on their RSVPs. 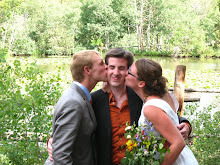 We could have easily done this with our online RSVPs, but it didn't occur to us. I think it's a fun way to build community and connection. Decide what your policy is for touching the iPod. Matt and I didn't figure out our policy before the wedding, and we ended up having a particular friend who didn't like our choice in music. She tried to use our iPod to achieve her own musical agenda during the reception. In retrospect, I wish we would have secured the iPod beneath a sheet of paper (with edges taped down) that read, "Please respect our wishes and keep away from the iPod." It could be fun to let your guests interact with the iPod if you decide that's what you want, but for us, it ended up feeling really scattered when our friend would change the music and we would change it back. I wholeheartedly recommend the DIY iPod wedding reception route for a variety of reasons, and I would love to hear your suggestions and questions in the comment section! *I am in no way suggesting that all DJs are annoying. In fact, there seem to be really cool ones out there. I just came upon these pictures from our honeymoon to Greece last year, taken by one of our travel companions, Alice. We mainly spent our days sailing around the Mediterranean, but one day we rented a car and drove around one of the islands. We spotted an old, abandoned church at the top of a hill and decided to climb the mountain. Then we spotted an old, rickety ladder and decided to climb the church! When planning a wedding, there can be a lot of pressure to follow a particular formula, to adhere to a set of "traditions" that have been passed down through many generations. Sometimes these "traditions" are things we've been looking forward to incorporating into our weddings for a while. Other times, they can feel like shackles--uncomfortable binds that prevent us from moving freely and being our true selves. When we're planning our weddings, it can be easy to get caught up in the pressure to plan the wedding of somebody else's dreams. The truth is, the control is largely in our own hands. We have to enter into the process consciously. Of course there will be lots of conversation, conversion, and compromise needed. But at the end of the day, the vision, values, taste, and preferences embodied in our weddings should be ours, not everyone else's. Books like One Perfect Day: The Selling of the American Wedding or this article (thanks, Sophie!) can be get places to turn to for a reminder that there are real economic forces at work trying to persuade us to have more and more expensive weddings. 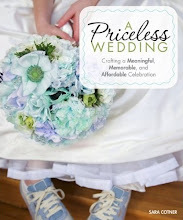 The truth of the matter is that the things we purchase for our weddings may or may not be connected to our more authentic reasons for getting married: community, connection, commitment, and fun. The choice is ours, and we can make those choices consciously. Reader Question: I would love to have a wedding like yours. To me, a great wedding would be where our friends and family (about 40 people) are with us for a couple days (similar situation to yours where guests can stay at the reception site), we're all together cooking our own food and everyone's having fun and laughing playing card/board/video games. I see beautiful wedding photos, yours included, where everyone is having fun, laughing, looking great. Things look effortlessly wonderful. Then reality kicks in. We just spent Christmas vacation with his parents, and I'm not really fond of his dad. I don't think his dad and my dad would get along. Like to the point if his dad said some of the things he said around us in front of my dad, there might be yelling. (His dad is racist and sexist and I really can't stand it, but I don't think it's my place to correct him, so I at least try to ignore him or not encourage it.) I inevitably argue with my mom whenever I see her. I don't have that many close friends and even with my best friends, I'm not as close to them as they are to each other. I don't really talk to my brothers (not that there's anything bad between us). All of that leads to a not very social person, without the connections you seemed to have with everyone at your wedding. Everyone will be coming from out of state, so I want to make sure their trips are worth it. So when I really picture our wedding, I think of having to avoid and ignore his dad, do everything I can not to fight with my mom while trying to be something I think I'm terrible at: a good party thrower and host. It makes me want to run away from all of it. (My boyfriend's the one who wants to have a wedding, not me.) It's not that the ideas we have aren't us, or me, or are things that make me feel uncomfortable, it's that I don't see any way to get the outcome (happiness, fun) I want for our wedding. It seems so simple, but in my mind I can't think of how to achieve it. Yes, the underbelly of wedding planning. Too bad it's not all flowers, taffeta, and centerpieces! I think one of the keys to making it through the tumult of wedding planning (and life, for that matter) is to draw a big, fat line between the things you can control and the things you can't. Once the line is drawn, you should focus only on the things that are on the Can-Control side of the line. You can't control the relationship between your dad and your father-in-law. You can't control the type of person your mother is. You ultimately can't control whether people have fun at your wedding (you can do everything within your power to set up a fun environment, but you can't actually make them have fun). It's very liberating to free yourself from being responsible for the things that are beyond your control. It also frees up a whole lot of energy to start thinking about the things you can control. What can you do to strengthen the friendships you have? More frequent phone conversations can go a long way in terms of helping you reconnect. What can you do to make new friendships? What can you do to distance your problem relatives from you at the wedding? One idea is to select a B&B that is only big enough to accommodate your friends and then find alternate accommodations for family. What can you do to prevent drama at your wedding? First, talk to your dad to prepare him for potential interactions with your father-in-law. Take the opportunity to express to your dad how important it is that the situation doesn't devolve into yelling or anger. Also, consider minimizing your interaction with your mom. If that won't work, make a personal resolution to let the things she says or does roll off your back. Again, you can't control your mom, but you can absolutely control your reaction to your mom. Are you going to be ready to let it all go once your wedding day arrives? There's a lot that you can control about the wedding planning process, but once the actual day arrives, you have to let it all go and immerse yourself in the moment. If you think through all these considerations and still can't get excited about your own wedding, then I highly recommend you talk to your partner about coming up with a different plan. You don't have to follow anyone else's wedding formula, if you don't think it's going to work for you. Ya-hoo! Matt and I had a rompin' Wild West adventure last week for spring break. I say "ya-hoo" because it's a phrase we picked up from a seven year-old we saw at The Gage Hotel. We watched him walk out of the hotel, jump on a lion statue, and shout (with the most endearing Texas accent), "Ya-hoo!" Matt and I have been saying it ever since. Our trip started on Sunday. We didn't leave earlier in the weekend because I really wanted time to finish up my work, so I could be entirely free during our vacation, and Matt was eager to play in his soccer game on Sunday. At the last minute, we learned that we couldn't take our bloodhound, Hoss, into Big Bend National Park with us, so I had to take him to Camp Canine. After a brief spat with each other (we were both irritated about various things), we drove six hours to Uvalde, a small Texas town that offers concealed handgun classes for a mere $25. We checked into a cheap hotel and attempted to swim. We quickly realized, however, that the pool was quite arctic, and that we would rather cozy up under the comforter and watch the National Geographic station (which, by the way, was showing an amazing special about sperm). The next morning we indulged in the delicious free breakfast (they actually had a waffle iron that made Texas-shaped waffles!) and headed west. Thanks to my iPhone, we realized that we were heading into some nasty weather and that it might not make sense to camp at Big Bend that night. Again, thanks to my trusty iPhone, I booked us a room at a very fancy hotel for a mere $97. We indulged in the most scrumptious veggie burgers we'd eaten in a long time and started a game of Scrabble. We also stopped by the local book store, and I wrote down some books I want to read. Specifically, This Organic Life and Farm City. The next morning, we headed into Big Bend. The weather was still sub-optimal, but we were eager to camp. As we entered the park, we saw a sign that indicated all the camp sites were full. Fight #2 ensued as we debated about what to do. Finally, we decided to stand in line for a primitive camping permit, even though our chances were looking quite abysmal. Much to the shock of the obsessive planner that dwells within my head, a spot opened up at a primitive campsite right when it was our turn in line. The ranger booked us in the spot quickly, and gave us the run-down about what to do in case of mountain lion and bear spottings. We trekked approximately 1.5 miles to our campsite and set up shop. Our spot was completely secluded from the main trail and also secluded from the side trail it was on. Heavenly! After ditching our heavy packs, we continued to follow the South Rim trail for about 12 miles. Then we hiked back down for dinner at the lodge. That night, we barely slept due to the frigid temperatures and the fact that my Therm-a-Rest had a dreadful hole in it, and I essentially had to sleep on the rocky ground. Ouch! No worries. The night sky completely made up for our discomfort. I've never seen so many stars. God bless rural Texas! 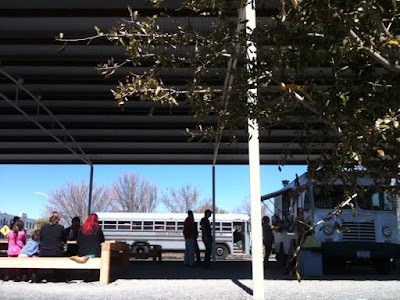 The next day, we headed to Marfa, the artist mecca of rural Texas. We ate at the Food Shark, imbibed delicious drinks at Squeeze, got our burning questions answered at the Chamber of Commerce, met Lorna Leedy of Fancy Pony Land fame, and relaxed at our B&B. That night, we journeyed up the mountain to the McDonald Observatory and then to the platform of the mysterious Marfa Lights. At some point, we stopped along the highway to take photos in the Blue Bonnets. Anyone from Texas understands that it is very important to take annual photos in the wildflowers. The next day, we ended our trip by driving all the way home. Matt then headed to Austin to hang out with his brothers and friends at South by Southwest. I flew to New York for a consulting job. The trip reminded me of how lucky I am to have found my Partner in Adventure and Awesomeness. He makes me laugh. He challenges me. His hand always feels good in mine. I'm trying my best to savor this time in our life. We're healthy. We have complete mobility. We have energy. We can drop our dog off at Camp Canine and head west into the sunset. One of the best weddings I've ever been to was at a Children's Museum. It was simply so much fun to play with the bubble machines, climb on the vertical mazes (see photo above), and talk into the echo-tubes. 14. Hiring a fortune teller, palm reader, etc. Please add any additional ideas in the comments! Matt and I have entered the "pre-mester." Translation: In less than three months, we will probably start trying to have a baby. (Keep in mind, we fully understand that having a baby can take years. The only thing we can decide on is when we want to start trying.) Editor's Note: Don't worry, this is not turning into a baby blog. That's what Feeding the Soil is for (well, kind of). Anyway, this post is not about pregnancy or babies. 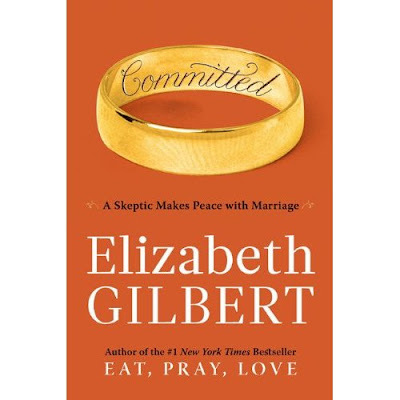 It's about a book you should consider reading in order to strengthen your relationship with your significant other. 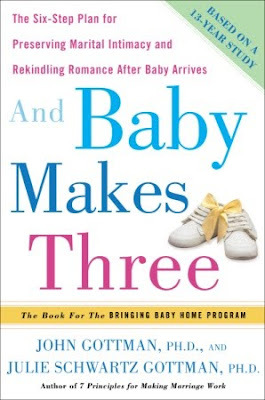 The book is called And Baby Makes Three: The Six-Step Plan for Preserving Marital Intimacy and Rekindling Romance After Baby Arrives. I'm more than half way through the book, and I find that it's honestly not very focused on the baby part at all. It's about how to strengthen your relationship during times of stress (which may be a baby or may be something else--like planning a wedding). 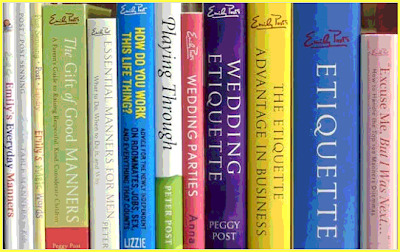 The book shares lots of good strategies like how to "cool down your conflicts," "soften how you bring up a problem," "calm down by self-soothing," "compromise," and "the importance of repair." I've been practicing a lot of these strategies for the past year and a half, but it's a good review to hear them again. I'm definitely in the Marriage-Takes-Conscious-Work club. According to this questionnaire, getting married is the 7th biggest stressor in life (behind death and jail terms). When I was getting ready for my first acupuncture appointment last week, I went back over my calendar for the past two years and recorded the number of days for each of my menstrual cycles. I'm worried about the extended length and irregularity of my cycles. As I flipped through my calendar, I quickly saw a pattern related to the number of events on my calendar and the number of days in my cycle. In other words, there seems to be a correlation between stress and my irregular periods. Most of my cycles are in the 30-40 day range. But guess how many days it was between periods when I was getting married, buying a new house, starting a new job, and moving to a new state? Have you made your guess already? 108 days. Seriously. More than a hundred days. Egad. And that was after we made every attempt to plan a wedding that was as stress-free as possible. Analyzing the literal connection between stress in my life and my health and wellness has given me a renewed sense of commitment to reduce stress in my life. I know I talk a lot about stress, but this time it's different. This time, I literally see the impact of stress on my body. I'm seriously trying to figure out how to significantly reduce my stress levels. 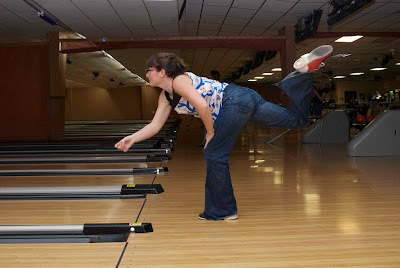 Analyze why I invite stress into my life by stretching myself too thin. Breathe more deeply (all the way into my abdomen). Exercise regularly (at least 3-4 days of running per week). Eat better (no caffeine or alcohol, less sugar and flour, more fruit, vegetables, and whole grains). Institute a nightly Relaxation Ritual. I've been doing the nightly Relaxation Ritual for a week now, and I'm loving it. At 8:15pm, I stop whatever I'm doing and start winding down. I spend a few minutes picking up around the house (since I'm one of those people who is more relaxed in a tidy environment). Next, I do 15 minutes of yoga with this video. Finally, I spend the rest of my time reading, watching a movie or TV shows on hulu, or talking with Matt. At 9:30, I go to sleep (so I can get eight hour of sleep before my 5:30am alarm). It wasn't easy to uphold the sanctity of my Relaxation Ritual every night. On Monday, I had to go speak about the Houston Heights Time Bank at the Transition Houston meeting. I also had to finish a consulting deadline. Tuesday I went to a museum preview for educators. Thursday I had a dinner commitment with colleagues. It wasn't easy to prioritize time for myself, but it's a commitment I need to make to myself and my family. 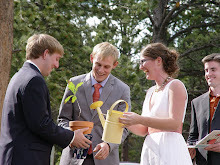 One of the strategies that Matt and I used to reduce our wedding's impact on the environment and our wallet was online RSVPs. It helped us lower our postage costs and paper usage. 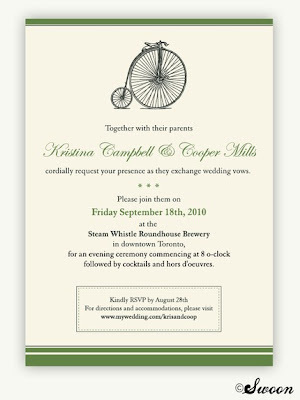 We embedded a form on our wedding website, but if I were going to do it again, I would use my friend Kevin's company, Wufoo. I'm getting ready to use Wufoo for another project I'm working on right now, and I adore it. Specifically, I love how witty and personal the interface is. After I signed up, I received a message that started with "A Glorious Welcome!" When I log in to create a form, it says, "Holy tabula rasa! You don't have any forms! Let's go make one!" And the tagline under "Form Manager" says, "O, what men dare do!" Thank you to Amy of Swoon Creative Design for using her graphic-design and aesthetic skills to produce lovely and affordable designs for couples looking for a hybrid-DIY option for invitations. Please e-mail me so I can put you in touch with Amy! To everyone else, thank you for entering! As always, I love reading your comments. I wasn't planning on doing save the dates until we planned our wedding on a weekend that most people go out of town for (Labor Day).... so against all my wishes I set out to look for some cheap save the date options. I wasn't happy with Evites as I think that site is a little bit too 1990's clip art.....and then I stumbled upon pingg.com. OK - AMAZING. I really want to tell every couple-to-be, ever, to use this website. The invites are actually good looking, uploading contacts was super easy, they show you all sorts of information as people receive them--and it's FREEEEE. 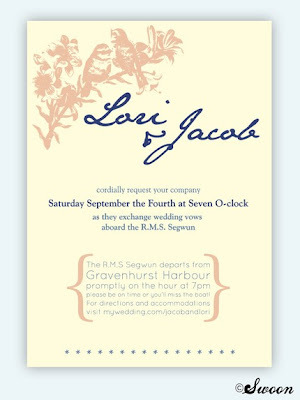 They have e-cards and e-invites (the invites manage a guest list and RSVPs for you, while e-cards are just sent out). ALSO, with a click of a mouse you can ask pingg to just send the cards out for you snail mail. Give them the address, and they stuff it in an envelope, stamp it, and send it for you (this in not free however.) I just sent mine out yesterday and everyone seems to like them. Can you believe this is free?? I think I might do my invites through here too. Christina is a recent college grad who is planning a wedding while trying to open her first business (a local-foods cafe!). When she's not working she's singing along to Neko Case, going for joy rides on her scooter, and finding the best salted dark chocolates the city has to offer. Michael is a national sales manager in the lawn & garden industry, but he'd rather be playing D&D with his friends. When he's doing neither, he likes to make Christina's day a little brighter. It was flirt-at-first-site four years ago when Christina decided to move to San Francisco. She interviewed with Michael's household to be their new roommate. She didn't get the room then, but we're fine with it! 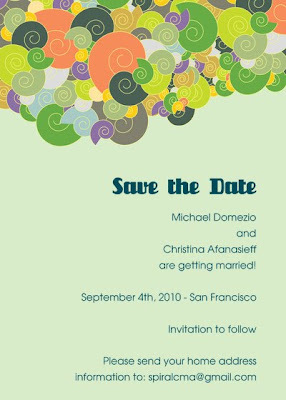 Four years later Michael proposed to Christina while on a walk through a vineyard in Calistoga. I really believe that weddings would be a little less stressful if we would commit to hosting a lifetime of parties rather than attempting to a host a single, "Once-in-a-Lifetime" event. And yet I find it can be difficult to do. Entire months can go by and I look back at my calendar and realize I haven't planned very many social events at all. 2010 is the Year O' Parties for Matt and me. We host a monthly get-together for the Houston Heights Time Bank, and this year we decided to make them a little more fun. Stress. It's a topic I come back to quite often. It's a topic that has even earned itself a category heading in my sidebar. I'm always seeking to free myself from the tight clench of Stress (even as I willingly climb into his hand time and time again). I decided to enroll in a two-hour class entitled "The Tao of Stress Management." The presenter started the workshop by emphasizing the direct relationship between stress and nutrition. 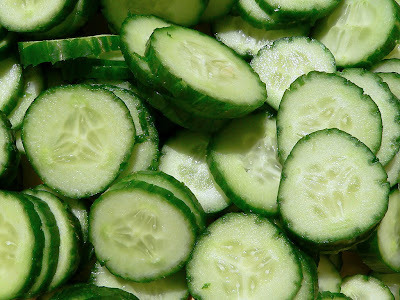 He argued that when we eat processed foods, we put unnecessary stress on our cells. He railed against refined sugar, flours, pasta, etc. Then he moved into a segment about accepting personal responsibility for our stress levels. Ultimately, we are the ones responsible for our emotional state. We create stress for ourselves by being too hard on ourselves, wanting to control things we can, escalating stress, or blaming things on other people. Our reactions to external stimuli determine our stress levels (not the stimuli themselves). It made me feel so silly for all the times I let bad drivers frustrate me on the road. Seriously? Why escalate my stress level over something so stupid? He talked about deep breathing as one antidote for stress. He discussed the important of breathing all the way into your stomach--really letting your belly expand with each inhale. This particular technique has already worked wonders on my stress levels. If I'm really, really stressed, I breathe in through my nose and out through my mouth to release all my pent up emotion. I'm trying to condition myself to breathe deeply as a habit. He also touched on the importance of regular physical activity. Even though I have personally experienced the beneficial effects of exercise on my stress levels, it still helps to hear the message over and over again. Because he is an acupuncturist, he also discussed the benefits of acupuncture. Even though I'm a little weirded out by acupuncture, I think I'm going to start using it to help regulate my menstrual cycles. In short, I loved his closing summary about how to reduce stress in your life: "Breathe more deeply, eat more simply, and move more frequently." 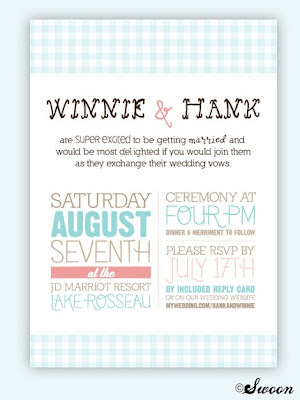 I'm happy to host this contest to promote Amy's new Etsy shop--Swoon Creative Design--where you can download unique and aesthetically-pleasing invitations and print them yourself. I'm intrigued by the hybrid-DIY idea. You simply purchase your design and then e-mail Amy your details. She plugs them into the design, sends you a proof, and then sends you the final image to download and print. 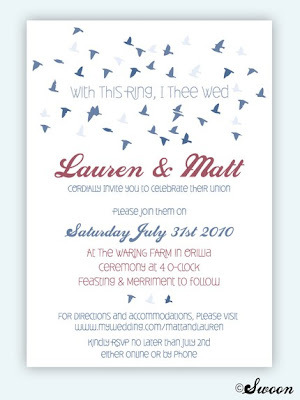 The invitations even include crop marks, so you can cut them to the precise size. Enter to win by Tuesday, March 9 at 11:59 EST.